In the wake of the Volkswagen and Mitsubishi emissions scandal, it seems another manufacturer is being thrown into the fray. The South Korean government is going to fine Nissan 330 million won (Rs 1.86 crore) for allegedly manipulating emissions on the Qashqai crossover. 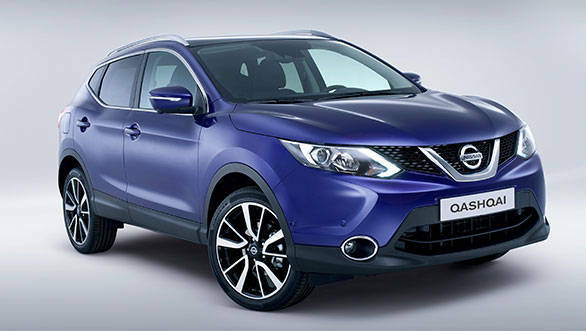 The Nissan Qashqai is manufactured at the Sunderland plant in the UK and has been under production since 2006. The Euro 6 model was put under scrutiny in this case. The South Korean environment ministry tested 20 Nissan models and found emission levels of the Qashqai to be unusually high. In the tests, the South Korean officials found that the emission reduction device cut off when the car temperature touched 35 degrees Celsius, whereas the other cars usually have theirs switched off at 50 degrees Celsius. They also found that the emission levels of the Qashqai, after the emission device shut down, were at a similar level as that of the Volkswagen cars with the emission cheating software. In response to these claims, Nissan is adamant that none of its cars feature any sort of cheating device that alters emission levels. In its statement, Nissan said, "Nissan does not manipulate data related to its vehicles. The Nissan Qashqai has been correctly homologated under Korean regulations. Nissan has not and does not employ illegal defeat or cheat devices in any of the cars that we make. Nissan is committed to upholding the law and meeting or exceeding regulations in every market where we operate. We are continuing to work with the Korean authorities."